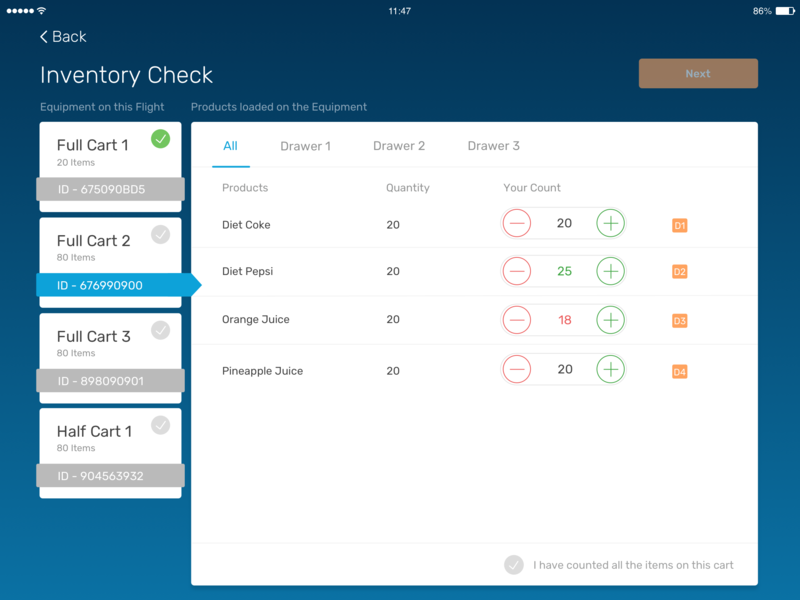 The Guestlogix Inventory Management system is easy to navigate with at-a-glance information presented on the dashboard for more efficient operations management. 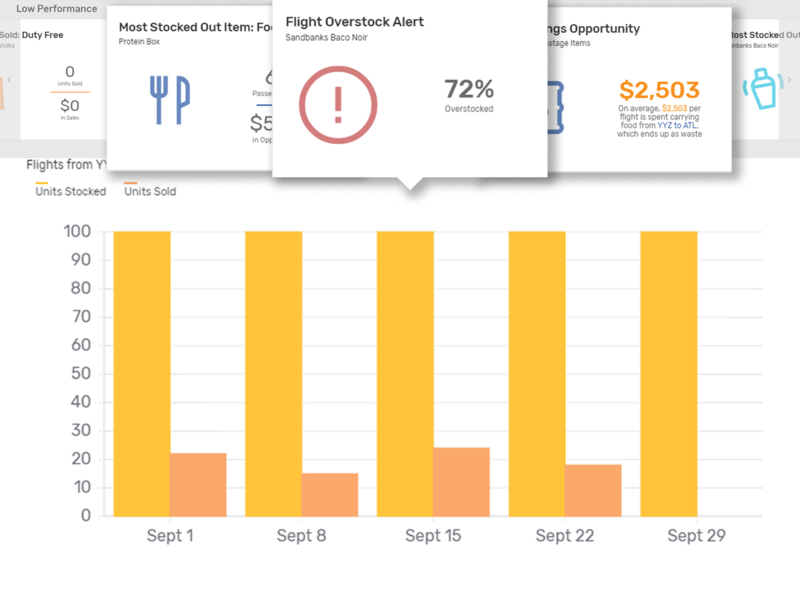 Airlines can easily track inventory from warehouse to onboard and back – no matter if they use a catering company or do their own provisioning. Easily manage complex duties & taxes for global customers and specify acceptable payment types. 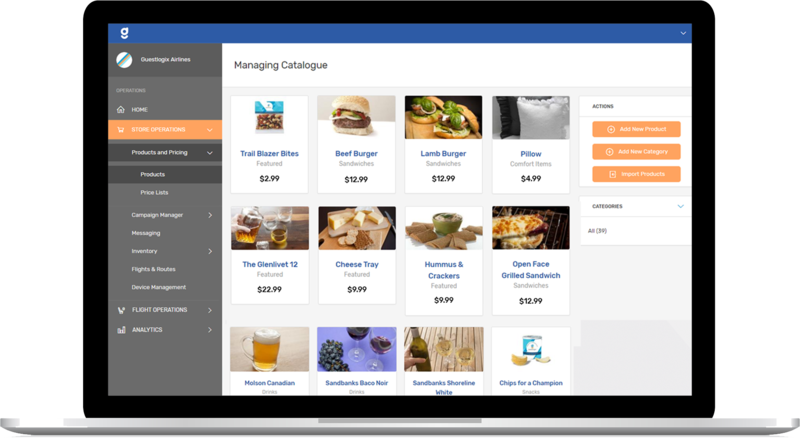 Admins can create and manage attractive and easy-to-navigate catalogs of all onboard products and services, automatically updating across channels (mobile apps, POS, pre-ordering website, etc.). Quickly import flight schedule, crew list, products, price list, port info, packing plan, and more. Manage sales from warehouse to onboard and back. Create Cart Plans for specific tails or broader coverage areas and sync with the catering company to provide access to cart plans. Machine learning gives airlines the information they need to make smarter decisions. 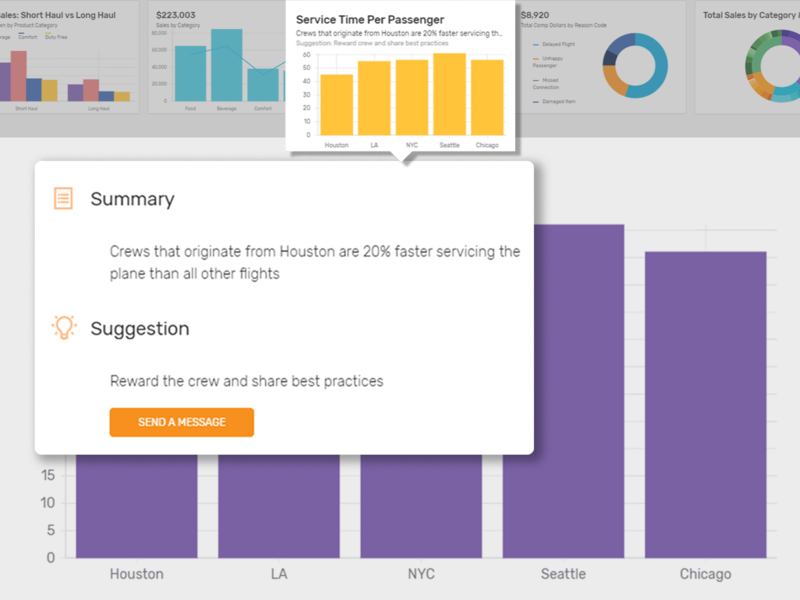 Data lets admins pinpoint where they are wasting inventory and fuel from over-packed flights, purchase trends for specific destinations, passenger information, crew information, and more. With this information, creating cart plans, packing flights, and running campaigns becomes more efficient resulting in more sales and less waste. Efficiency matters for airlines so being able to quickly see the information that is most relevant to day-to-day operations is crucial. 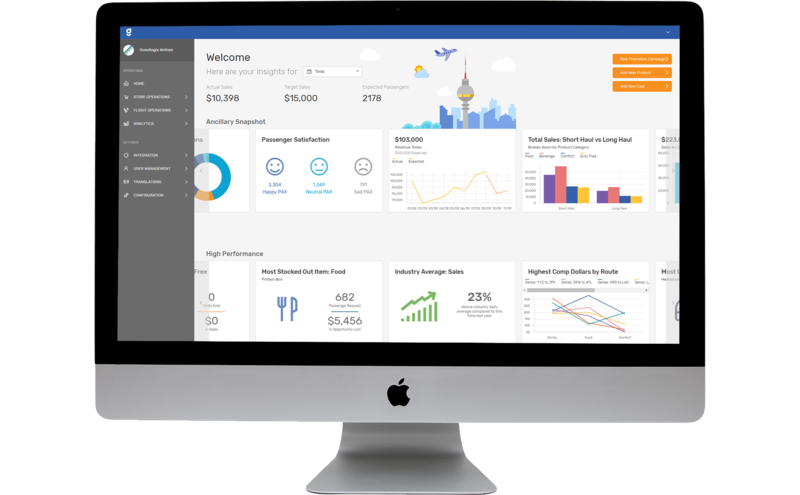 The dashboard offers admins a view into what’s performing well and what can be improved, providing actionable insights into what airlines can do to fix problems. See the full list of features for the Management Console. Boost ancillary revenue while enabling your passengers to purchase what they want, when they want, how they want.